Poor sleep is something many of us, including me, have problems with. As the stress & problems of daily life mount up, we watch till late at night on our iPhones things which have zero relevance, and we generally stay up too late - because finally the kids are in bed and we want that me-time. The bill for this comes the next morning when the alarm rings early and you have a hard time to get out of the bed and start your day. If you suffer regularly from a bad sleep at home, it’s time to detox and put your bed up outdoors. Disclosure: This article contains affiliate links. As you know: I’m keepin’ it real and tell you how it is - I maintain full editorial control of the content published on Hiking in Finland. Read the Transparency Disclaimer for more information on blogger transparency and affiliate links. Research from leading Universities across the globe has shown that the modern human that you and me are sleeps up to two hours too little each night. That not only has the immediate effect of feeling tired or sleepy in the morning, but in the long-run your general health will be deteriorating and you’re opening up the door to sicknesses like cancer, type-2 diabetes and heart diseases, amongst others. Much of this has to do with where we life: In our cities and homes we are no longer in touch with the natural light-dark cycle of nature - especially in big cities it can feel like it’s “light” outside all the time. Sitting with a tablet in hand on the sofa or watching “just one more Episode” of Game of Thrones doesn’t help much either to get at a good time into bed. So while it might sound counter-intuitive for the city dweller to go outside to sleep well (“What about the bears and spiders?”) the reality is that after some activity in the mountains & forests and the fresh air you are bound to have a good night’s sleep. Especially since there should not be any lights, tablets and TV Shows keeping you awake. 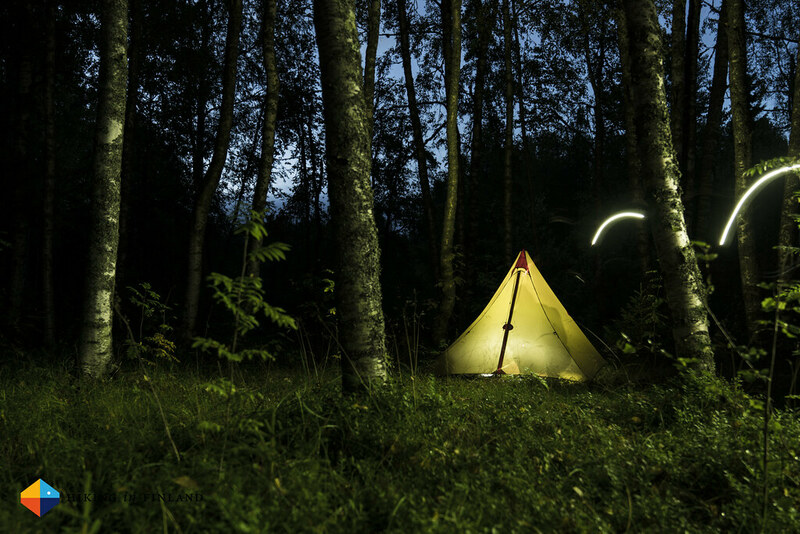 With this article I want to encourage you to go sleep outside in nature if you suffer from poor sleep at home, and what follows are my tips from over a dozen years of experience of sleeping outdoors. No, you don’t need to go to sleep when the sun goes down and wake up when it nips back up over the horizon the next morning. Depending on the time of the year I like to be at my camping spot between 18 and 19 o’clock in the evening, have the tent and bed set up while it is still light and then have dinner. If it’s possible I like to also sit around the campfire and drink a hot chocolate, not only is watching the fire so relaxing, that hot chocolate also will keep you warm at night. I need my 8 hours of sleep a night, but just like people are not the same also the sleep needs of every person is different - some can manage with 6 hours a night, others need their 9 hours to feel good the next day. 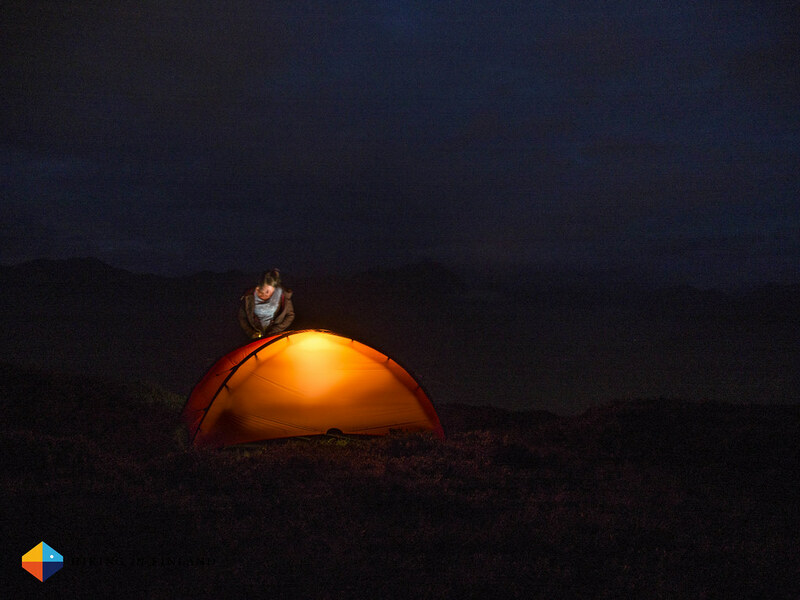 There’s no right or wrong when sleeping outside (or inside, for that matter) - when I feel tired, which outdoors is usually around 22 o’clock, I go brush my teeth, have that final pee (because I don’t like to get up & out in the middle of the night!) and snug up in my quilt. I often have an Alarm set for the next day, but the reality is that I am awake around sunrise and then just nap till I feel like I want to get up. This is especially amazing if I don’t have a schedule to adhere to or have to be somewhere at a certain time. I potter around in the mornings, packing up while having breakfast, and slowly getting ready for another day of hiking. If you sleep bad at home the reason could be the phone, computer or tablet which you’re starring at on the sofa. So the Number #1 Rule when going to sleep outside is to keep the phone off. Yes, it’s tempting to upload a photo on Instagram, check the Twitter feed or something else meaningless which you can do on Social Media. From my own experience of sleeping outside for the past 20 years I can only recommend to not use the phone in the evenings. 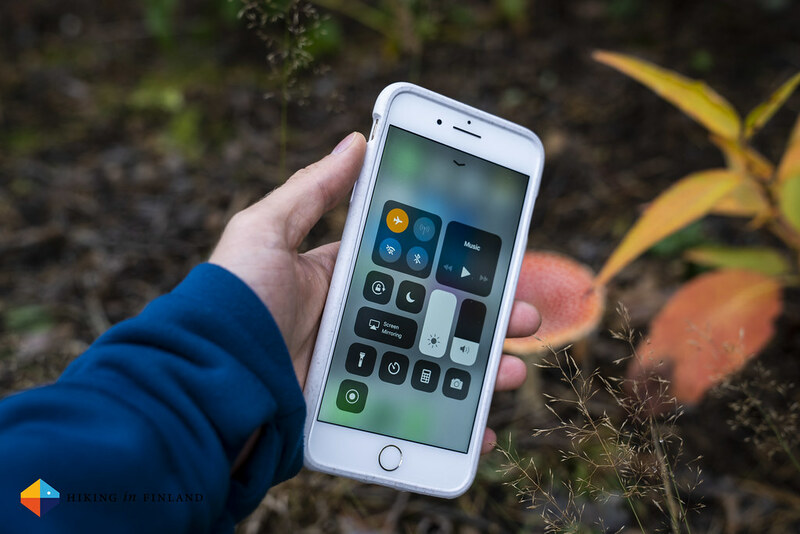 Keep it in Airplane mode, but keep it away and don’t watch on that tiny screen while you’re out in nature. 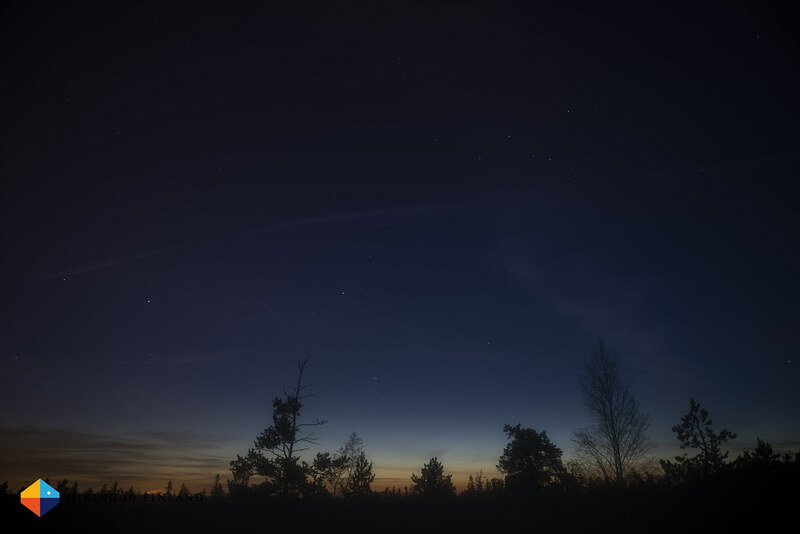 Chances are you could see the Northern Lights in the sky instead, or watch the millions of stars which illuminate the night sky and which you can not see in the city. Sleep next to a creek! Fear of the dark is something we learn from our parents and society. Homo Sapiens, you and me, we are the top of the food chain and pretty much every predator in our natural environments will make a wide path around us whenever they see or smell us. Wolfes, Wolverine, Lynx and Bears - they will not seek you out at night in your tent to come snack on you. Now Mosquitos, that’s a different story. But: You can learn again to not be afraid of the dark. 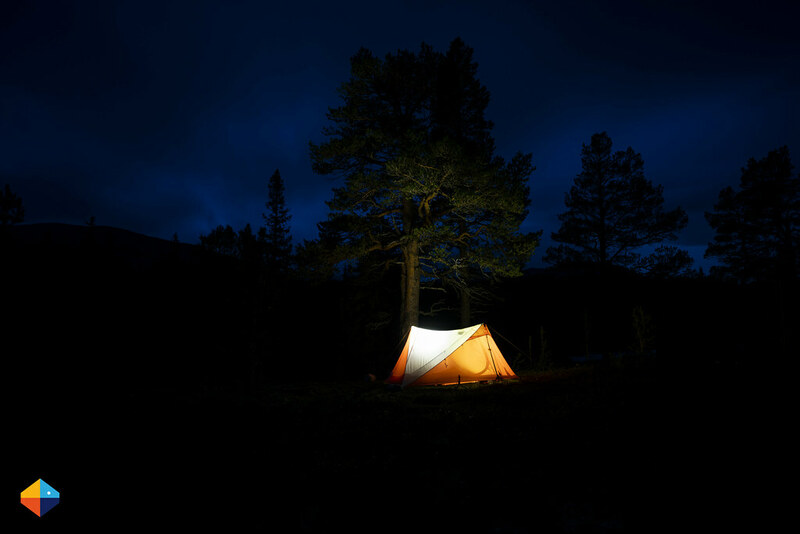 An evening stroll in the park or forest can be a good way to start this, and it might take a few times sleeping outside to feel comfortable and not afraid - though soon you will realize that the dark forest or mountains hold no danger, and you can go to sleep safely. 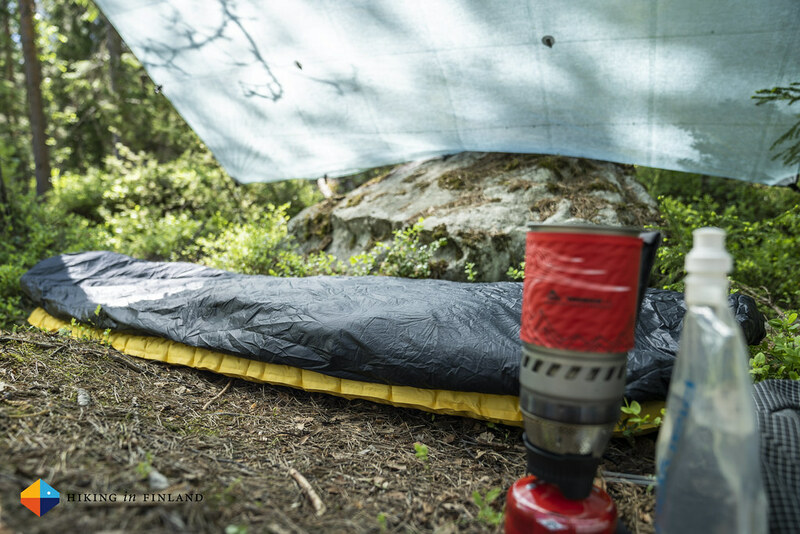 A sleeping pad is the mattress of your outdoor bed, and super important. I recommend a thick and insulated pad like the Therm-A-Rest XLite or Therm-A-Rest XTherm if you easily feel cold as the base of your bed. Cover yourself up with a quilt as it gives you more freedom of movement - just like your blanket at home. A synthetic quilt like the As Tucas Sestrals quilt is less sensitive against moisture, while a down quilt like the Katabatic Gear Sawatch is a bit lighter and warmer still. I don’t use a pillow anymore, but just roll up my Patagonia Nano-Air Light Hoody which I wear during the day and which makes for a comfortable pillow. If you prefer a bivy or a tent depends on how much “house” you want to have around you. A bivy lets you see the stars on a clear night, while a tent gives more protection when it rains and is windy. All of this and some more fits into the ULA Photon or the Hyperlite Mountain Gear Porter backpacks, with room for a stove and more. Finally, on long backpacking trips I carry an extra pair of woolen socks, a dry pair of boxer shorts and a 2nd Houdini Activist Message T-Shirt and the amazing Houdini Lodge Pants for sleeping in. So, if you woke up tired and sleepy this or last morning, and you feel you need too much coffee to go through the day - consider sleeping outside. 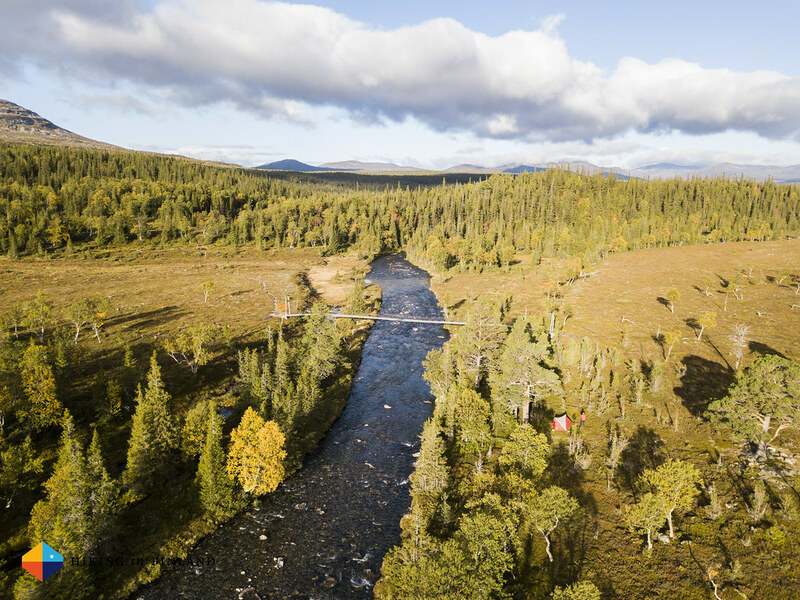 Together with a switched off phone and no electronic devices and a creek which runs by your comfortable and warm bed in nature you’re bound to have a healthy sleep (just don’t stay up watching for Northern Lights too long!). While one night outdoors is great to get a healthy dose of sleep, I feel after three or more nights one really starts to sleep much better in nature - so after your first couple of Microadventures, why not plan for a long weekend of sleeping in the hills or forests? Leave a comment if you slept outside this week, or plan to go!